What causes shin splints? | Podiatry Associates, P.C. The specific causes of shin splints can vary slightly; however, anything that causes your lower limbs to become overworked can contribute to the condition. Generally this is the result of repetitive stress from running or other sports. The constant, repeated hard impacts wear out your feet, so they can’t absorb shock efficiently any more. Your shins end up absorbing the pounding instead. This creates uncomfortable inflammation in the soft tissues beside your shin bone, as well as even in the shins themselves. A few other things may contribute to shin splints. Biomechanical issues can add to the stress on your lower limbs. 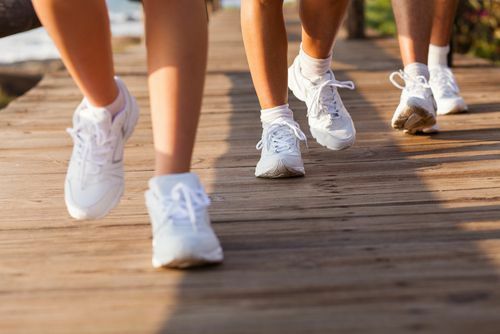 Poorly-fitted or worn out shoes may stress your feet, too. The problem is, since shin splints are a result of overworking your lower limbs, they won’t get better unless you address them. Our team at Podiatry Associates, P.C. can help you get the care your shins need. Make an appointment at our Castle Pines, Cherry Crek, or Parker, CO, offices through our website. You can also call (303) 805-5156.